Halcon Resources Corp (NYSE: HK) shares are up 11 percent after news broke the the company will sell its Delaware Basin water infrastructure assets for $325 million. Fitbit Inc (NYSE: FIT) shares are up 9 percent after reporting a third-quarter earnings beat. Earnings came in at 4 cents per share, beating estimates by 5 cents. Sales came in at $393.6 million, beating estimates by $13 million. Molina Healthcare, Inc. (NYSE: MOH) shares are up 8 percent after reporting an increase in third-quarter earnings. 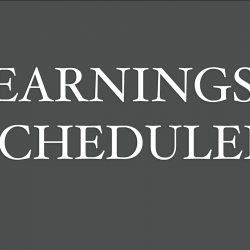 Adjusted earnings came in at $3.25, up from $1.13 in the same quarter of last year. Sales came in at $4.697 billion, missing estimates by $3 million. STAAR Surgical Company (NASDAQ: STAA) shares are up 8 percent after reporting a third-quarter earnings beat. Earnings came in at 7 cents per share, beating estimates by 10 cents. Sales came in at $31.77 million, beating estimates by $2.75 million. The company sees FY18 sales growth of over 30 percent year-over-year. FormFactor, Inc. (NASDAQ: FORM) shares are up 6 percent after reporting a third-quarter earnings beat. Earnings came in at 26 cents per share, beating estimates by 3 cents. Sales came in at $134.989 million, beating estimates by $1.539 million. The company issued strong fourth quarter earnings and sales guidance. Ion Geophysical Corp (NYSE: IO) shares are down 23 percent after reporting a third-quarter sales miss. Earnings came in at $(0.54) which does not compare to the $0.79 estimate. Sales came in at $47.2 million, missing estimates by $20.8 million. Open Text Corp (NASDAQ: OTEX) shares are down 4 percent after reporting a first-quarter sales miss. Adjusted earnings came in at 60 cents per share, beating estimates by a penny. Sales came in at $667.2 million, missing estimates by $21.36 million. Civeo Corp (NYSE: CVEO) shares are down 8 percent after reporting a third-quarter earnings miss. Earnings came in at $(0.09), missing estimates by 3 cents. Sales came in at $120.491 million, missing estimates by $5 million.